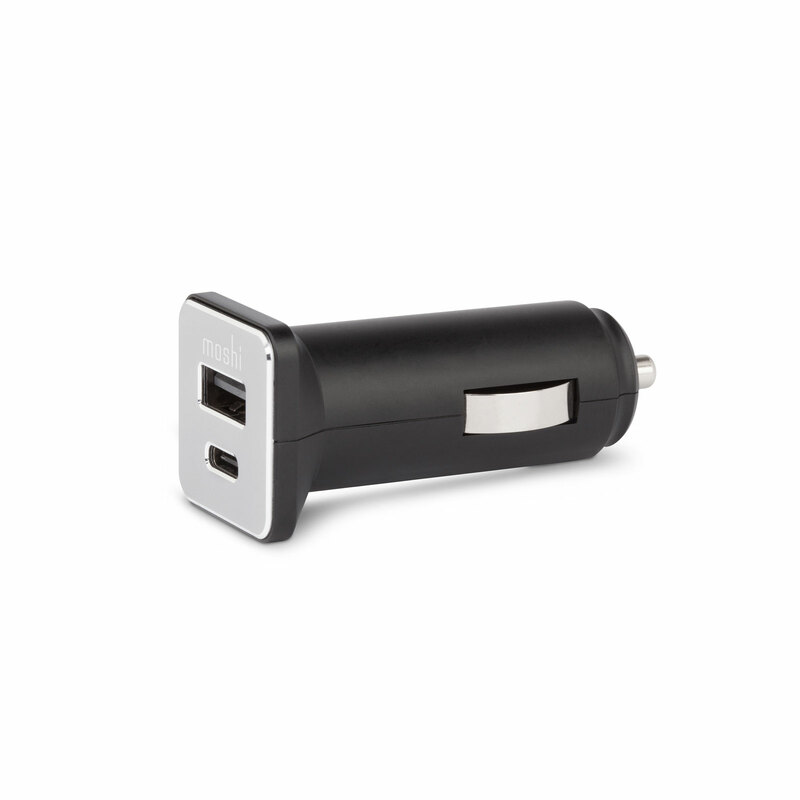 Charge both USB-C and USB-A devices on the road at the same time. The 30 W USB-C port provides enough power to charge up a MacBook Pro, while the USB-A port (12 W) fast-charges your iPhone. 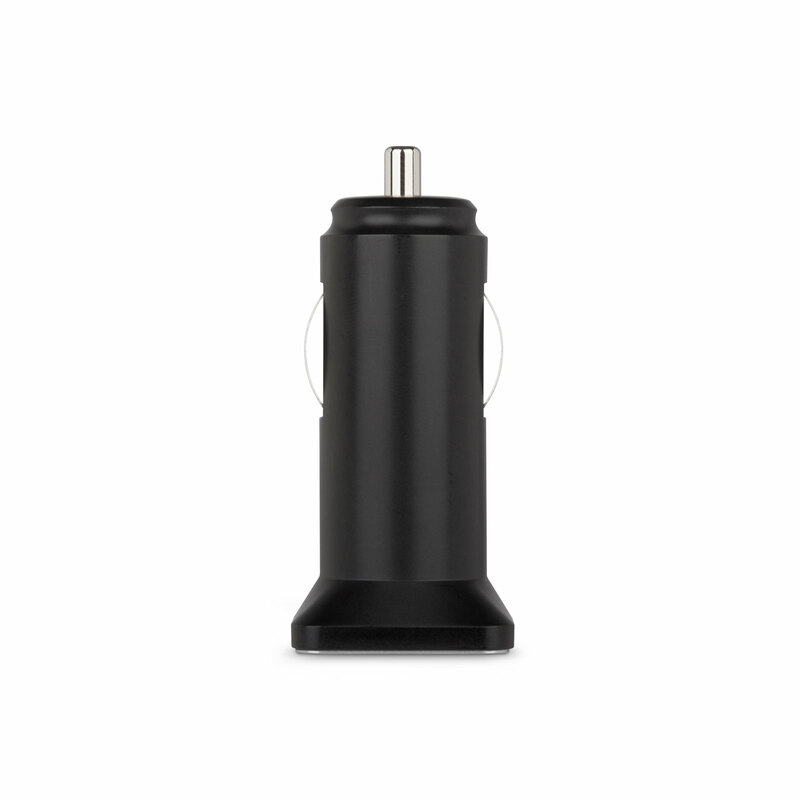 Charge your USB-C and USB-A devices on the road with Moshi's USB-C Car Charger. 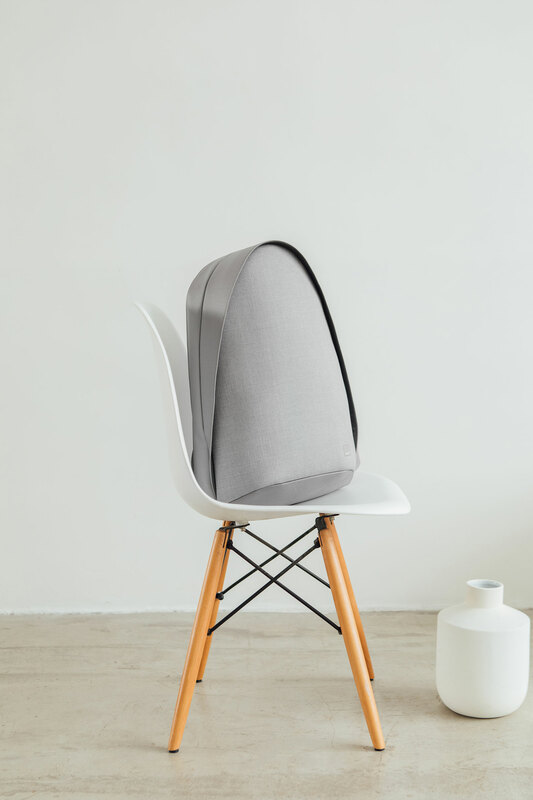 Equipped with the most advanced charging circuitry, the USB-C port fully supports PD 3.0 profile (5/9/15 V) which provides up to 30 W of power to charge power-hungry USB-C laptops, smartphones, and tablets. 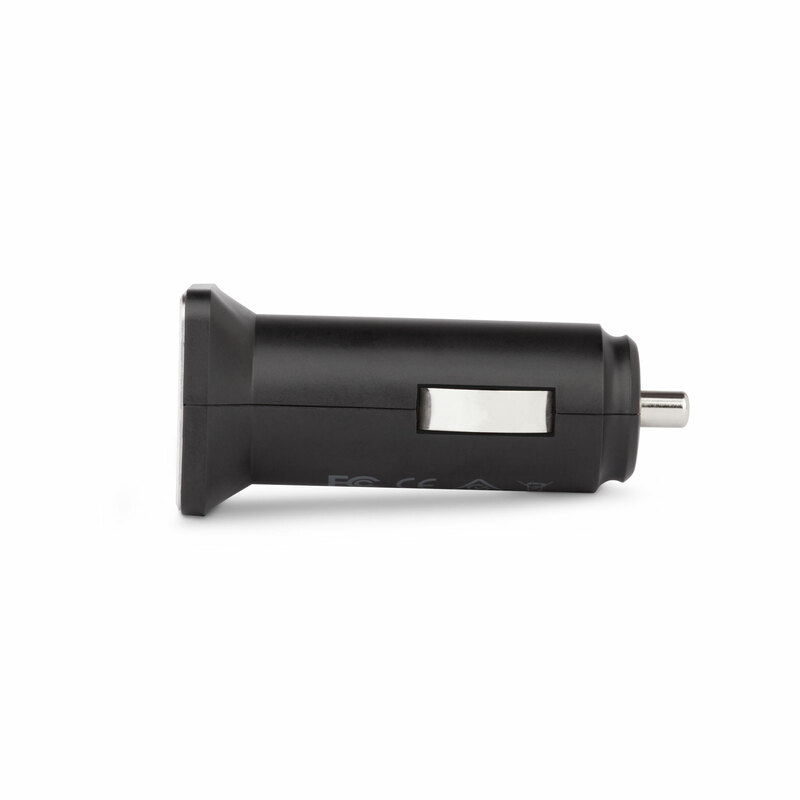 The USB-A port provides up to 12 W of power for high-speed charging of additional devices or accessories. 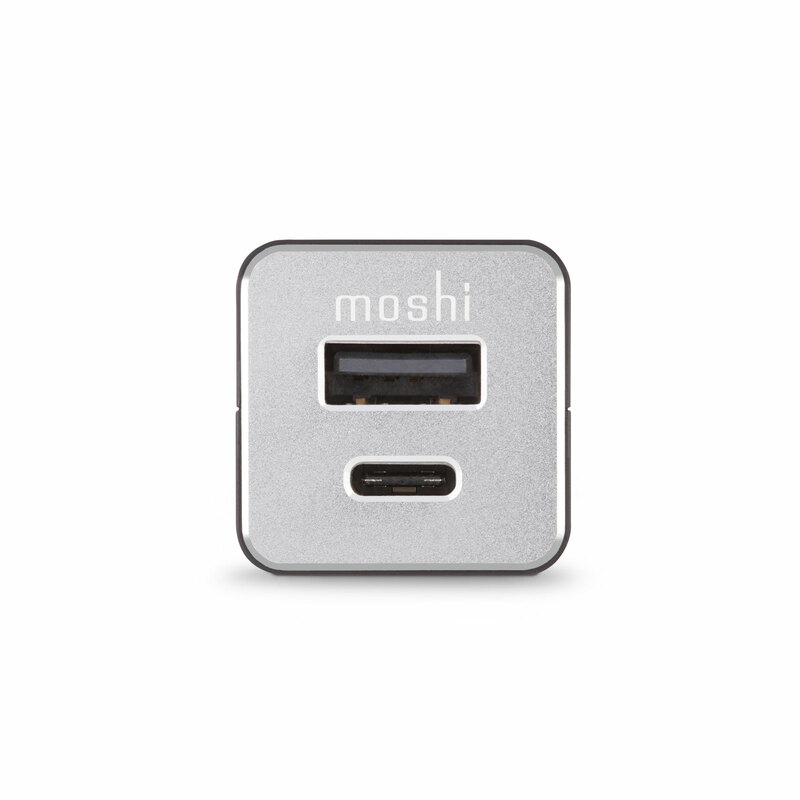 Moshi's proprietary power management circuitry not only provides surge and over-charge protection, but also intelligently distributes power across both ports to optimize charging efficiency. Provides up to 35 W total power output across USB-C and USB-A ports. Supports USB-C PD 3.0 profile (5/9/15 V) with power output up to 30 W.
Smart power management circuitry optimizes charging efficiency and provides over-charge protection. Compact design with LED indicator for convenient night use. Premium aluminum faceplate to match any car interior.